The largest consumer groups in the United States came together to speak about the need for regulation of the airlines. Part of that discussion concerns the enforcement of common carriers law. This industry enjoys a special place in the American judicial structure — they are virtually exempt from the state and local court system. Instead, the Department of Transportation (DOT) has the responsibility to protect America’s consumers from the airline industry. Airlines need to follow rules of common carriers. Here is a portion of the comments that were just submitted to DOT regarding the common carriers laws and their enforcement here in the US. The DOT has been delinquent in its responsibility to see that these common carriers requirements are met. 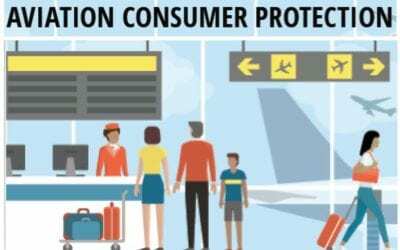 Basic common carriers legal protections that have been developed over hundreds of years are being ignored by the DOT to the benefit of the airlines and at the expense of consumers. Congress has finally called out DOT. Congress in the last FAA funding bill has required that DOT report on itinerary changes and their effect on consumers. Congress has also required DOT to begin a sexual harassment study. And, Congress is not forcing DOT to look at transparency of ancillary fees once again. It is sad when the keeper of consumer protections has to be forced to protect those who they are mandated to protect. DOT has not promulgated regulations enforcing the Airline Deregulation Act’s non-discrimination requirements, including to ensure that individuals with disabilities are able to access air travel without undue burden. DOT has not implemented systems to assist the blind in using airport kiosks and only after an almost four-year delay DOT finally started requiring airlines to report on damage to wheelchairs and mobility devices. Common carriers rules and regulations that once protected passengers from airline irregular operations that resulted in a break of a trip or an extended delay have been allowed to languish as airlines slowly but surely disclaim their responsibility for providing overnights and meals for passengers delayed or facing airline cancellations. Today, the airlines’ failure to adhere to schedules results in many missed connections. Misconnections harm the flying public. When missed connections are between different airlines, passengers sometimes must pay large cancellation or change fee fines. The airlines pay nothing and keep the passenger’s money, sometimes for the entire booked trip, including return travel. This should stop. In the case of IT failures, airlines are allowed to treat the failures as if they were an “Act of God.” They clearly are not. These incidents are failures of the airlines to protect their passengers and to deliver service. They should fall under the duty of care and passengers should be compensated, not faced with a runaround and having to meet deadlines for rebooking flights imposed by the very airlines that caused the problem in the first place. Common carriers law notes that all prices charged to passengers and customers should be public and provided to all ticket agents with no restrictions. Before computers, complete airline prices were mandated to be posted by the door of the airline company offices. Today’s Full-Fare Rule, requiring airfares and all mandatory airline charges and government fees to be included in advertised airfares, is a beginning but still falls short of what is needed for the free market to fully operate to deliver for the benefit of consumers. Today, airlines only publicly price airfares. Against all historic common carriers law, airlines shroud all ancillary fees together with a complex system of exemptions and exceptions, resulting in a total pricing system that is very difficult to efficiently navigate. In addition, beyond harm to airline consumers who cannot easily calculate prices for comparison-shopping, this refusal to publish open and public data harms the IT and software industry’s ability to serve consumers. 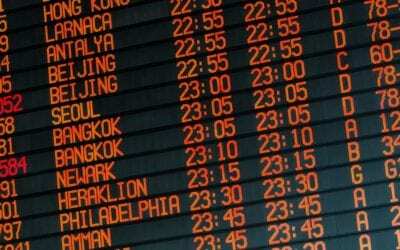 No significant changes to the passenger/airline information interface can be created without open data. There is no limit to the number of fees, thus there can be no fair airfare data system for the public to use to compare the cost of travel on different flights and different airlines. 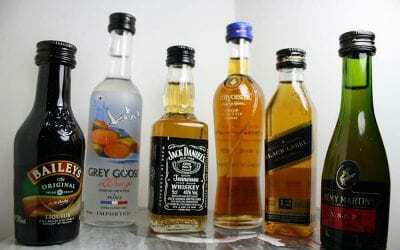 However, DOT last year stated that they were stopping any discussion of full disclosure of pricing so that consumers can compare full prices for airline travel across airlines. Travelers United has been working to get the discussions of honest common carriers public pricing back on the table at DOT. 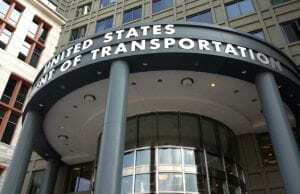 Now, Congress has instructed DOT to examine how to let consumers know the full cost of travel. This should include baggage, seat reservations, family seating charges, and several other ancillary fees that airlines are still keeping off our data screens. DOT noted that knowing the full cost of travel is not of benefit to consumers. We all beg to differ. Even the DOT needs to know the full cost of any action they are planning on taking. And, our President, when he was a real estate tycoon, always knew the exact prices for construction and property purchases. Why is knowing the full price of flying of little benefit to those who fly and who are purchasing airline tickets? Knowing how much it costs is always of benefit in the free market. We airline passengers would like to see some of those market forces we hear mentioned time after time by the airlines to swing our way. Pricing is perhaps the most important component of the free market system. Let’s get it back front and center so consumers can make educated decisions.